PlayStation consoles, cameras, and DualShock 4 controllers are all seeing price hikes within the Canadian North. Imagine the following: You are (a) Canadian and (b) among the many who couldn't buy a PlayStation 4 at launch. Nursing your disappointment over a Tim Horton's coffee and some maple syrup, you try to cheer yourself up. "It's not so bad," you say, "I'll just wait for the price to drop! Until then, I'll pass the time reading about Mayor Rob Ford's antics in the newspaper." Then you open up the Toronto Sun and see that Canadian PS4's are getting a price increase from $399 to $449, and your legendary politeness is suddenly shattered to pieces. You see, for the past seven years the relatively strong Canadian dollar allowed game and console prices to be identical to what our American neighbors paid. 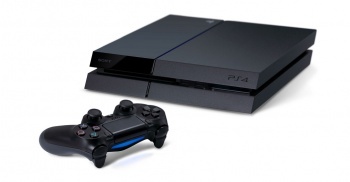 Now, thanks to "changes in the market environment", Sony is raising Canadian next-gen console prices by $50. The PlayStation Camera and Dualshock 4 controller will also see $5 increases, while new games like Infamous: Second Son will be priced at $70. This isn't the first time Sony has raised Canadian console prices (there was a $40 PS3 increase in 2007), but it's especially frustrating given that many stores still haven't fully stocked their shelves with PS4s. Outlets like Best Buy are already noting the price adjustment, so if you're Canadian and haven't paid a deposit, you'll probably need to pay a little extra for the immediate future. Thankfully, Sony's price increase doesn't appear to affect the PlayStation Vita, which finally saw a price cut last year.